The board of Glanbia met on Monday to set its February milk price. Glanbia member suppliers will receive 29.9c/l excluding VAT for February manufacturing milk supplies at 3.6% butterfat and 3.3% protein. This is 0.5c/l less than what member suppliers received for January milk. Glanbia Ireland maintained its base milk price for February at 28.5c/l excluding VAT. Glanbia Ireland has maintained its interim market payment of 1c/l (including VAT) on all February milk supplies (excluding fixed milk price schemes paying above 31c/l). However, the board of Glanbia Co-op has decided to cut its support payment to members from 1c/l to 0.5c/l including VAT. 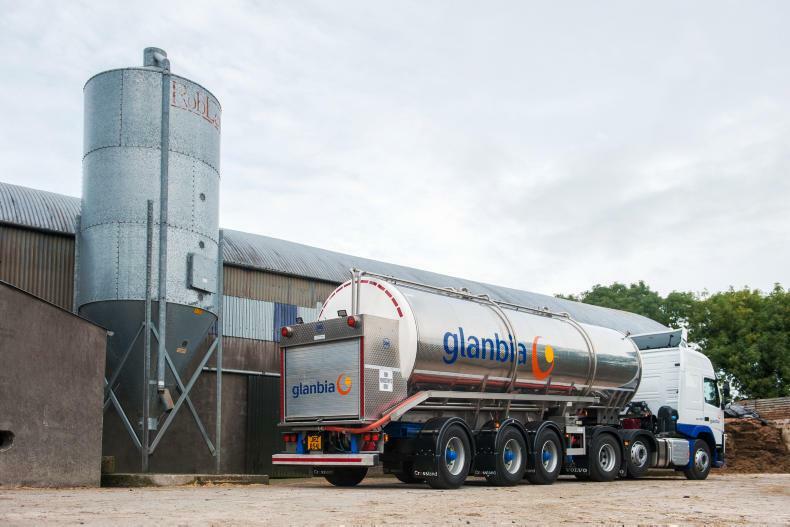 The Glanbia Ireland payments and the Glanbia Co-op support payment will be adjusted to reflect the actual constituents of milk delivered by suppliers. “Brexit uncertainty has led to short-term changes in purchasing patterns," Glanbia chair Martin Keane said. "Protein prices have improved, but market returns have not recovered from the reduction in butter prices over recent months. "While the recent series of GDT auction results is positive, it is from a lower base and remains below the current Glanbia Ireland price. "With the market-based milk price currently at approximately 30c/l, the board will continue to monitor developments on a monthly basis,” he added. Participants in the Glanbia loyalty scheme (GLS) will be paid their loyalty reward with their February milk payment. Participants in this five-year milk and feed scheme will be paid €30/t on their qualifying tonnes of dairy feed purchased in 2018. This month’s payment covers the period May to December 2018. 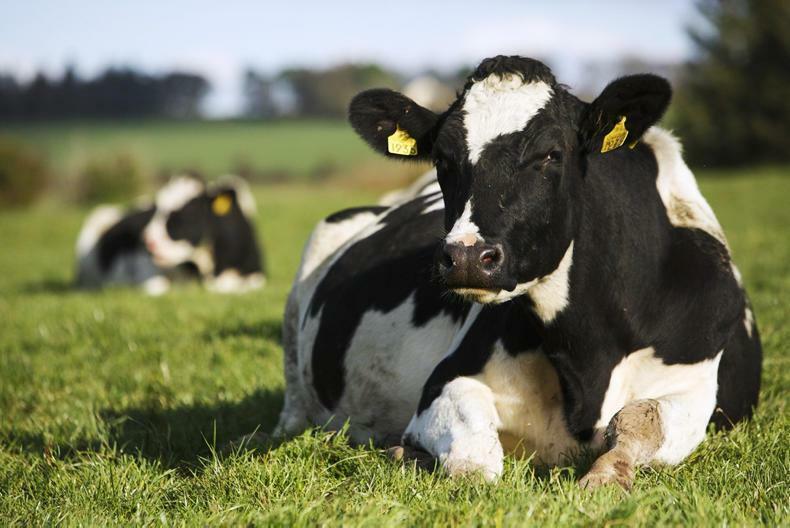 In light of the challenging conditions last spring, an interim payment was made in May 2018 for dairy feed purchased in the January to April period. Lakeland was the first processor to announce a milk price for February supplies. It held at 30.4c/l excluding VAT. Almost all permits available for dairy farm assistants from outside Europe have been issued by the Department of Business. There has been a surge in demand from dairy farmers for work permits allowing for workers to come to Ireland from outside Europe. In May 2018, 50 permits for dairy farm assistants from countries outside the European Economic Area (the EU plus Iceland, Liechtenstein and Norway) were made available by the Department of Business. By the end of 2018 just 11 of these permits had been issued, though number have risen sharply since the start of the year. In response to a parliamentary question from Fine Gael’s John Deasy on 18 April, Minister for Business Heather Humphreys confirmed 49 of the permits have now been issued. Farmers are required to pay permit workers a minimum of €22,000 a year based on a 39-hour week. Employment permits were also introduced on a pilot basis for meat factory operatives and horticulture workers. There has been major demand for permits from processors. Having been initially granted 250 permits, factories were given several increases, with 1,500 now available. A total of 1,339 permits have been issued so far. Uptake has been much slower for horticulture permits. Just 91 of the 500 available permits have been issued. In total, 1,479 of the 2,050 permits have been issued. Deasy queried whether the unused permits could be allocated to pig farmers. Minister Humphreys said the permits were not transferable and the role of pig farmer is currently on the ineligible occupations list. The Minister elaborated, saying: “A submission was made to the most recent review of the occupations lists on behalf of the pig farmer occupation. However, available research does not indicate a shortage of labour in the sector. As intervention stocks are nearly cleared, the latest SMP sale saw just 33t sold at a price of €1,660/t. There is just under 2,000t of skim milk powder (SMP) remaining in European intervention stocks following the latest SMP sale. A small amount of 33t of Finnish stocks was sold at the most recent tender on Tuesday 16 April. It sold for €1,660/t. The next tender will take place on 21 May when 1,106t will be offered. The vast majority of the remaining stocks are in Spain, while there are smaller amounts available in Germany, and the UK. Some 380,000t of SMP has been sold out of intervention over the last 12 months, with all Irish stocks having been cleared in February. 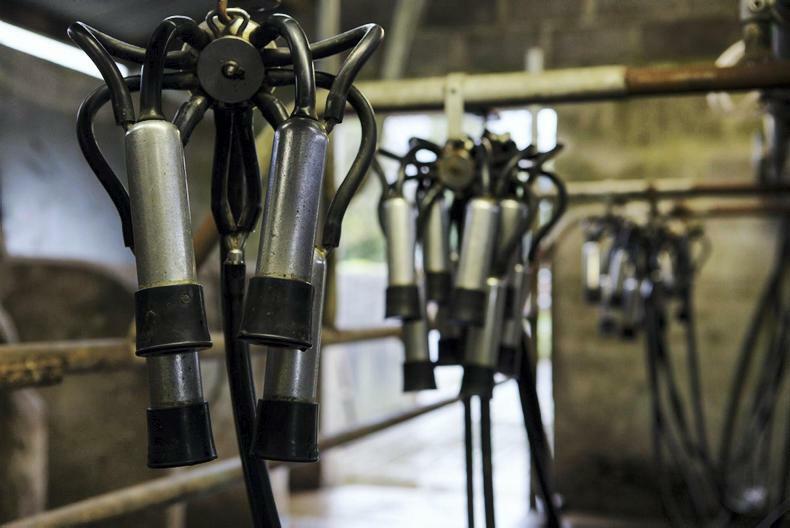 Dairy markets: were Glanbia and Lakeland right to cut milk prices? The transition to selective dry cow therapy will be an important issue for Milk Quality Ireland. The Irish Milk Quality Co-operative Society Ltd (IMQCS) has changed its name to Milk Quality Ireland Co-operative Society Ltd following a decision by its committee of management. Milk Quality Ireland is a collaborative body with a remit in the area of dairy farm infrastructure, which includes representatives from the Irish Co-operative Organisation Society (ICOS), the dairy co-ops, Teagasc, milking machine manufacturers and milking machine technicians. It was established 30 years ago in 1989 to improve milk quality standards in Ireland, to provide suitable training and certification programmes in milking machine testing and installation and to strive to ensure that Irish milking machine installation and testing standards equate with best international practice. Milk Quality Ireland also maintains a register of certified milking machine technicians, with 263 technicians currently on the Milk Quality Ireland register. The chair of Milk Quality Ireland Jerry Long said: “I’m extremely pleased to announce the unveiling of Milk Quality Ireland. In recent years, we have focused on broader areas of milk quality, as well as providing training and certification of milking machine technicians. “Milk Quality Ireland will continue this important work with a renewed focus on helping the dairy industry and farmers to meet significant new demands in relation to milk quality. “These new demands relate to the adoption of non-chlorine cleaning protocols for milking equipment and bulk milk tanks, which will require changes to existing practices at farm level in order to respond to market requirements. 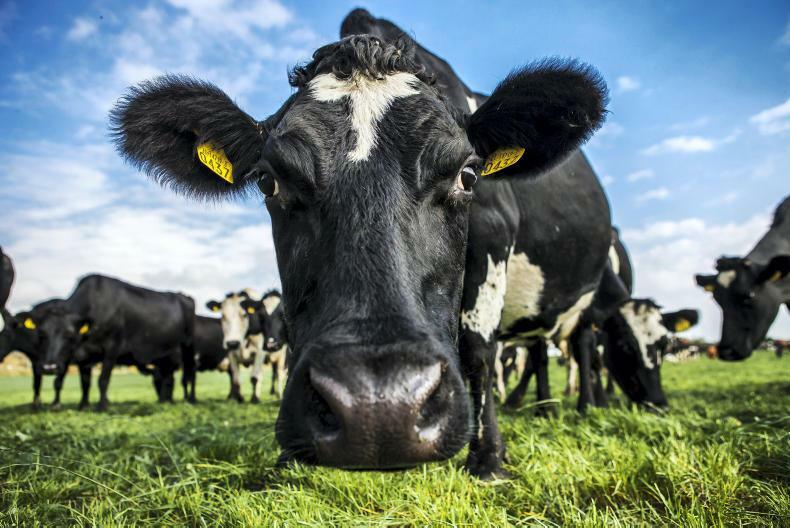 “Furthermore, the transition to selective dry cow therapy will be an important issue for Milk Quality Ireland, as new legislation will prohibit the blanket use of antibiotics on dairy farms by 2022. This transition will require careful management including the need to scale up the level of milk recording across the national herd,” he said. He also said that the body will also play a vital role in ensuring that there are sustainable career pathways and fit for purpose educational programmes for the service providers that Irish dairy farmers depend upon and help to underpin the industry’s high-quality standards.